By the summer of 1943, thanks to Allied victories over the U-boats worldwide and most recently against the Kriegsmarine’s surface fleet in the Battle of the Barents Sea, the worst of the Battle of the Atlantic crisis had passed. But it was not yet over. With respect to the surface fleet, the German battleship Tirpitz, sister ship to the sunken Bismarck, was stationed in the Altenfjord in northern Norway. Together with the battleship Scharnhorst and heavy cruiser Lützow, Tirpitz remained a dangerous threat to the Arctic convoys. But the Admiralty had been working on a plan and the means to execute it: Operation Source, using X-craft mini-submarines specifically designed to sink capital ships like the Tirpitz. Admiral, Submarine Command, Sir Max Horton supported the X-craft program through its construction and teething stage, and once trials were successfully completed and volunteers trained, the 12th Submarine Flotilla was authorized. The X-craft were 51 feet long, had a gross weight of 35 tons, and a crew of four. Their weapon was two externally mounted “side cargos”– explosive charges each containing two tons of amitol. Once an X-craft had positioned itself beneath its target, the crew would set the side cargo’s timer, release it to fall to the sea bottom, and then, hopefully, cruise out of range before the side cargo exploded. Operation Source called for the X-5, X-6, and, X-7 to attack the Tirpitz, X-8 the Lützow, and X-9 and X-10 the Scharnhorst. On Sept. 11, 1943, six conventional submarines, each with an X-craft in tow, left the X-craft port in Scotland for Altenfjord. During transit, the X-9 was lost at sea with all hands. Then the X-8 suffered a series of mechanical failures culminating with the premature explosion of one of its side cargos, causing the mini-sub to be scuttled and the Lützow mission aborted. On September 20, the remaining four X-craft slipped their tows and embarked on their attack routes. X-10 soon experienced mechanical problems. Not wanting to risk compromising the mission, the X-10’s commander aborted and returned to the rendezvous site. As it turned out, the Scharnhorst had left its anchorage so the mission would have failed in any event. Thus, only the Tirpitz would be attacked. Intelligence reports recommended that the mini-subs lie up the night of September 21 at Brattholm Island, recharge their batteries, and then attack the next day. Two anti-submarine nets ringed the Tirpitz, anchored in the Kaafjord, a branch deep in the base of the Altenfjord. Just before dawn on the 22nd, when the outer anti-submarine net opened to let a coaster through, Lt. Donald Cameron of the X-6 alertly got into the coaster’s wake and slipped through before the net closed. Despite both his periscope and gyroscope malfunctioning, the X-6 running aground on an uncharted rock, and being seen by guards when the mini-sub briefly surfaced, Cameron managed to get the X-6 under the Tirpitz and set his charges. Knowing escape was impossible, he surfaced the X-6. After scuttling the mini-sub, Cameron and his crew surrendered and were taken aboard the Tirpitz. The X-7, commanded by Lt. Basil Godfrey Place, despite getting entangled in the nets, also managed to lay its charges. But during its departure the mini-sub again got entangled in a net. At 8:12, the charges detonated, ripping holes in the battleship’s hull, rupturing fuel tanks and flooding compartments, causing a two-degree list. Shockwaves from the explosion freed the X-7 and caused the X-5 to surface, where it was discovered and sunk by a combination of gunfire and depth charges. With the X-7 too damaged to escape, Place quickly surfaced. 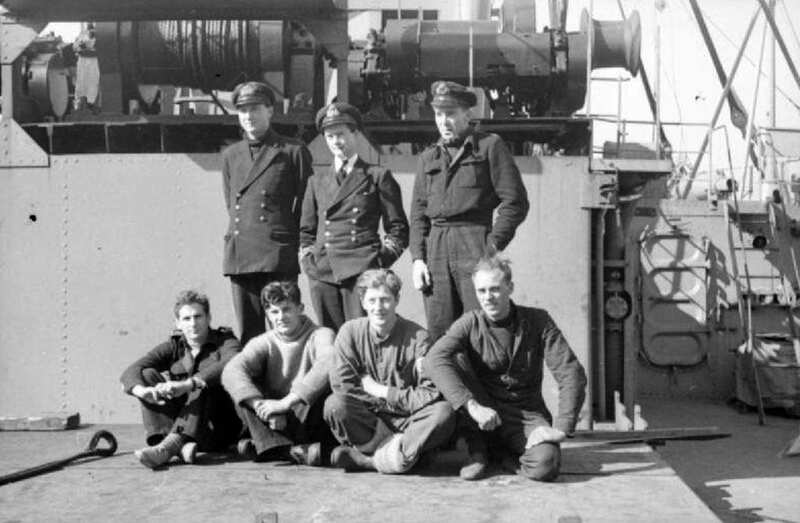 Two crew members were unable to exit before the mini-sub sank. Repairs to enable the Tirpitz to leave anchorage wouldn’t be completed until April 1944. 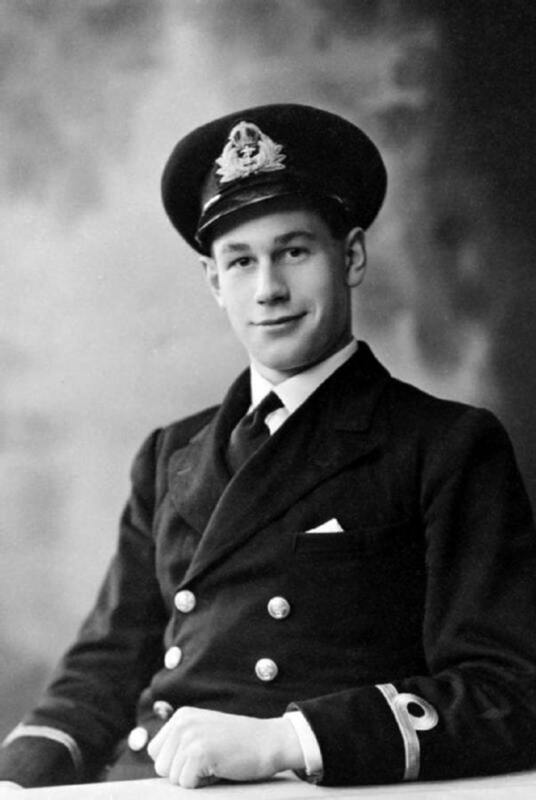 For their roles in Operation Source, Cameron and Place received the Victoria Cross. Lorimer was one of three who received the Distinguished Service Order. A monument honoring the crews of the X-5, X-6, and X-7 was dedicated at the Kaafjord churchyard.